The right roofing material from the right contractor will increase your home's value and protect what's inside! Whether you are installing a roof for a new construction or replacing an older roof that is no longer doing its job, there are many choices in terms of the types of roofing materials available. Some of the different options include asphalt shingles, tile roofing, and more. At Pro Home 1 of Dupage, Cook and Lake Counties, you can trust that you'll have the best roofing in no time! Contact us today for your free estimate. We provide quality roofing services, including roof repair, roof replacement and installation in Wood Dale, Schaumburg, Mount Prospect, and the surrounding areas of Illinois! Manufacturers have created asphalt shingles that imitate the look of wood and slate while improving the durability. Wood shingles and shake roofs are beautiful, but can require more maintenance than other materials. The main difference between shingles and shakes is that shakes are split from the log and have a rough, random texture; shingles have a smoother surface because they're sawed. A wood roof is expensive, and requires extra skill to install. That's why most people avoid installing this type of roof unless they're dealing with an historic house or want to recreate an antique look. Tile roofs have been used with Spanish style houses, but clay and concrete roofing products can be used with other architectural styles as well. Slate is king of roofing materials due to it's durability. Homeowners may encounter problems trying to find a roofer that can properly maintain and repair slate roofs. ENERGY STAR® qualified roof shingles can lower roof surface temperature by as much as 50 degrees Fahrenheit. ENERGY STAR® rated shingles provide all the protection you expect for your roof while also helping increase the energy efficiency of your home. A cool roof is designed to reflect solar energy, decreasing the amount of heat that's transferred to your home's interior and the amount of air conditioning needed to keep it comfortable. Pro Home 1 is a full-service roofing contractor, specializing in everything from new roof installations, roof repairs and maintenance to total roof replacements. It doesn't matter what type of roofing system we are working with, we always ensure quality workmanship, excellent customer service and a long-lasting, durable roof over your head. 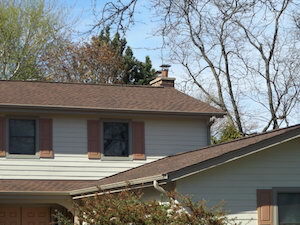 Our roofers work throughout the Dupage, Cook and Lake Counties area, including Mount Prospect, Schaumburg, Wood Dale, Arlington Heights, Des Plaines, Wheaton, Palatine, Lombard , Naperville, Elmhurst and many parts of Illinois. Call us at 1-844-801-2465 today to schedule an appointment for a roofing estimate.